Ashampoo Home Designer is a complete program for creating the home of your dreams. Thanks to its easy-to-use tools, you will be able to imagine the plans, add decorative elements and admire the results in three dimensions. If you are afraid that you will not be able to handle this type of software, rest assured. Ashampoo Home Designer has intelligent features to support you. All features are classified by theme within a ribbon that seems strongly inspired by what is done at Microsoft. It is possible to work on a two-dimensional plane and then admire it in three dimensions. 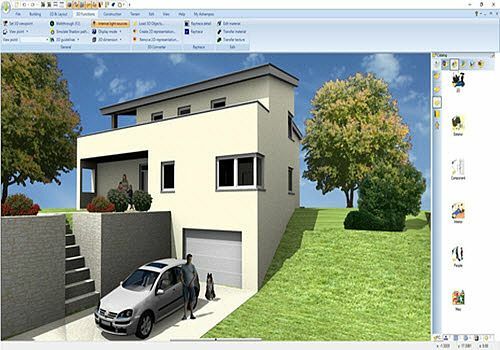 The software offers a large catalogue of objects to decorate its plans and thus get an overview of the final result. Want to take a virtual tour? This is also possible with Ashampoo Home Designer. In the latest version of the software, Ashampoo has further expanded the list of objects available for decoration and it is even possible to import them if necessary. Ashampoo Home Designer is available as a trial version and in several languages including French, English, German or Spanish. A complete professional solution for 3D design and modeling. Find tools that are both powerful and easy to use. Ideal for your projects.